Think back to the last time you painted a room in your home. Odds are you spent more time then you thought possible combing through color swatches in the paint department. You brought home a pocketful, or more, and taped them up on the wall to ‘live’ with them for a few days. Maybe more than a few days. Perhaps you’re still considering those swatches today. It doesn’t have to be that way. Here are 6 tips to picking the right paint color for your space. With all the colors of the rainbow (and then some) at your fingertips, starting with swatches in a paint shop will quickly overwhelm you. Instead, do your homework first. What rooms and styles appeal to you in magazines or on Pinterest? Do you have a favorite piece of furniture or accent piece that you’d like included in the room? Build a color scheme off that item. How do you use the room you’ll be painting? What mood do you want to invoke? A bedroom, for example, is well suited to subdued calming hues. If you’re painting a child’s playroom or a den, however, you may want to select something more vibrant and energizing. You can also look at the meanings of the colors based on feng shui or color psychology. 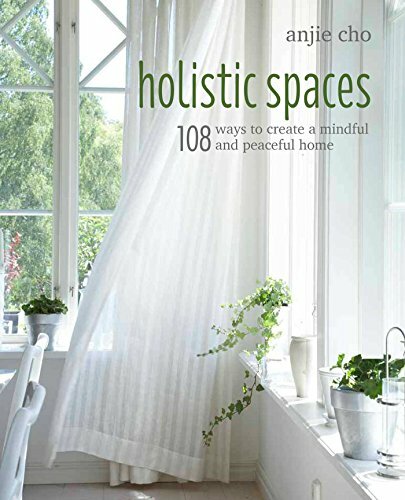 My book 108 Ways to Create Holistic Spaces goes through feng shui color theory. Your paint color will be influenced by the things around it. If you place a color sample on a white wall, for example, the color will appear darker than it may eventually look spread throughout the entire room after you paint. Instead, hold the color sample up against your flooring and your furniture. Sometimes a color that looks like absolute perfection in the store seems to look muddy and uninspired when you get it home. Was it your misguided enthusiasm for the hue in the shop? No, it’s more likely a matter of lighting. Make sure to look over those paint swatches at different times of day. Also take a look at the color in different areas of the room. Take into consideration existing finishes – flooring, furniture, and even other rooms within your line of sight. How does your intended paint color work with those elements? If you’re still wavering on the right color, consider going with a neutral. Today’s options go beyond varying shades of white. Neutrals like brown and grey are trending. When you go this route, incorporate pops of personality and color with accessories. Not only will you have more flexibility with color choice when you introduce it through a chair or pillow, you can also change your color-loving mind more easily and cost effectively whenever the whim hits you.